The Hungarian Grand Prix is the final race before Formula 1 packs its bags and heads off for a mandatory summer break. 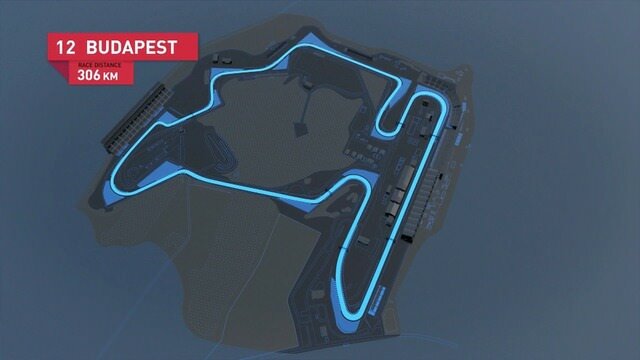 Mark Webber is again your track guide for a fast lap around the dusty 4.4km Hungaroring circuit. You know you're in for a dull race when the drivers have time to eye up local fans. Even Webber, who has arguably been optimistic this year when it comes to naming overtakings points, can only finger one potential spot for passing in this twisty dustbowl. Hungary though, has always held the ability to surprise, albeit with key events appearing to happen off the track rather than on it. Changeable weather will be required to make this race a classic, otherwise as Mark suggests, we could be in for a long race.